The revolving doors at the DW Stadium kept turning this week as the club experienced an unprecedented turnover in playing staff. Latics have gone through a huge transformation in the last few weeks with ten players leaving and seven joining the club. This week Andy Delort and Fraser Fyvie were added to Roger Espinoza, Oriol Riera, James Tavernier, Ben Watson, Shaun Maloney, Adam Forshaw, Callum McManaman, and Ivan Ramis who had all left the club in the space of the last few weeks. CEO Jonathan Jackson has explained that Latics have to reduce costs with the prospect of relegation looming and manager Malky Mackay believes that some of the players were just not up for the fight. It was inevitable that Wigan had to reduce the wage bill to remain sustainable but the worry is that on paper the new arrivals do not have the same quality as those leaving. The new signings are a mixture of players who have been surplus to requirements at other clubs and in the case of Billy Mckay and Sheyi Ojo are untested at Championship level. The major concern is do we have the quality to survive in the Championship? Defender Liam Ridgewell has improved following a very rocky start against Birmingham City, but he will be returning to Portland Timbers in only three weeks time. Australian utility player Chris Herd has as yet to make his debut for Latics but he has not played competitively for Aston Villa this season and his loan spell at Bolton was blighted by injury. Jason Pearce lost his place in our relegation rivals Leeds United’s team this season and although he has been described as a wholehearted defender he is reported to be vulnerable to the Championship’s quicker forwards. 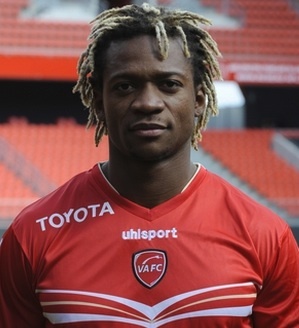 Cameroon international defender Gaeten Bong has impressed while on trial at Latics following his release by Olympiacos. However, he is untried in English football and the worry is that if he is such a good player why wasn’t he snapped up by a club at a higher level? Much travelled striker Leon Clarke has only scored two goals for Wolves this season in 19 appearances and it is maybe asking a lot for him to resolve all our goal scoring problems. 17 year-old Sheyi Ojo is an exciting prospect and has joined on-loan from Liverpool. But it remains to be seen whether he will be able to cope with the physical demands of a relegation battle. Striker Billy McKay may prove to be a bargain. The Northern Ireland international has been in prolific form for Inverness Caledonian Thistle scoring ten goals and five in his last five games. He could be the goal scorer Latics have been crying out for, but can he make the transition from Scottish football to the Championship? Wigan already have quality in the squad with Ali Al-Habsi now returned in goal, James Perch in defence, the emerging partnership of Emyr Huws and William Kvist in midfield and the impressive James McClean upfront. But some the new players will need to make an instant impact if we are to survive in the Championship. The high turnover of playing staff is a big gamble at this stage in the season. This article was first published in the 12th Man column for the Wigan Evening Post on 6th February 2015. This entry was posted in Andy Delort, Billy McKay, Championship, Chris Herd, Fraser Fyvie, Gaetan Bong, Jason Pearce, Leon Clarke, Liam Ridgewell, Malky Mackay, Sheyi Ojo, Wigan Athletic and tagged Andy Delort, Billy McKay, Championship, Chris Herd, Fraser Fyvie, Gaetan Bong, Jason Pearce, Leon Clarke, Liam Ridgewell, Malky Mackay, Sheyi Ojo, Wigan Athletic. Bookmark the permalink.